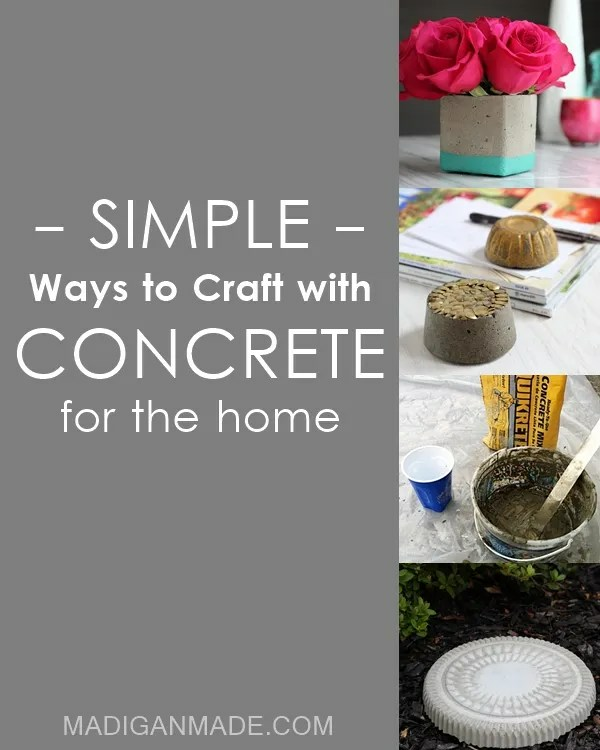 Madigan made… a list of easy DIY concrete ideas. So, spend a couple of bucks on a 10 pound back of concrete and get mixing this weekend! Need a few more ideas? I’ve got you covered. First, check out my simple tips for crafting with concrete and then peruse this list below for a simple DIY project to make this weekend. Many of the tutorials here served as references and inspiration for my three concrete projects this past week. They are all simple and modern home ideas that are sure to inspire you! Easy stepping stones – C.R.A.F.T. Have a wonderful (and hopefully crafty!) weekend, my creative friends!